Note: This ride is over. 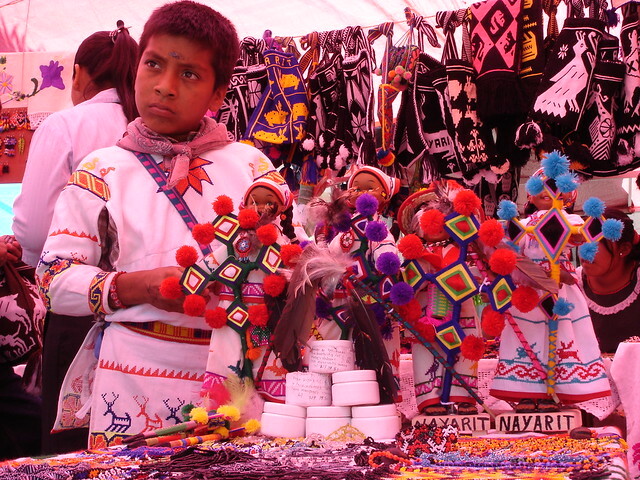 The ride across Mexico finished in February 2015. I’m leaving this page up for now so you can see how the Fellowship of the Wheel was organized and planned. I hope to do more group rides in the future. Ever since I first started my journey across the Americas, it’s been my dream to share that journey with others. I think there are many of us who wish we could go out and do something adventurous, go on a quest, travel to new places… but for most of us it’s hard to do. I’d like to change that by making it as easy as possible for people to come along. 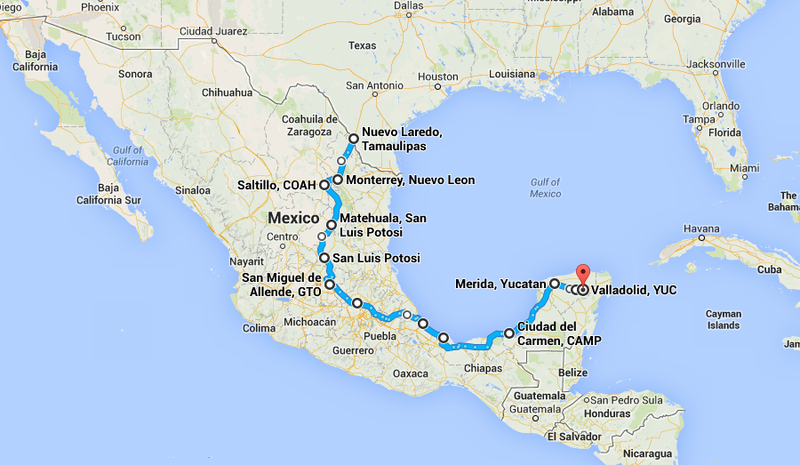 I’m bicycling across Mexico starting November 8 and I’d like you to come too. No cycling experience is necessary. I’ve divided the ride into 10 segments, some as short as 3 days and some as long as 7. My hope is that as many people as possible will try biking with me, and get a taste of adventure for themselves. I call it the Fellowship of the Wheel. 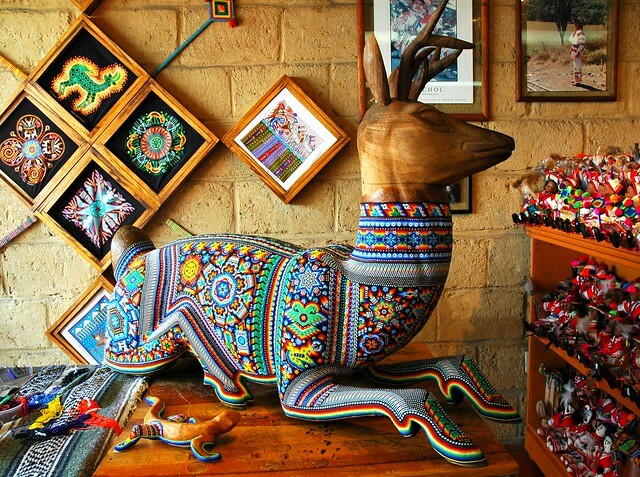 Huichol culture in Mexico. Photo by Jorge Organista. There is no fee to join us. It is completely free. Beginners are welcome. I’ve ridden with a number of beginners with NO cycling experience. They did great and so will you! 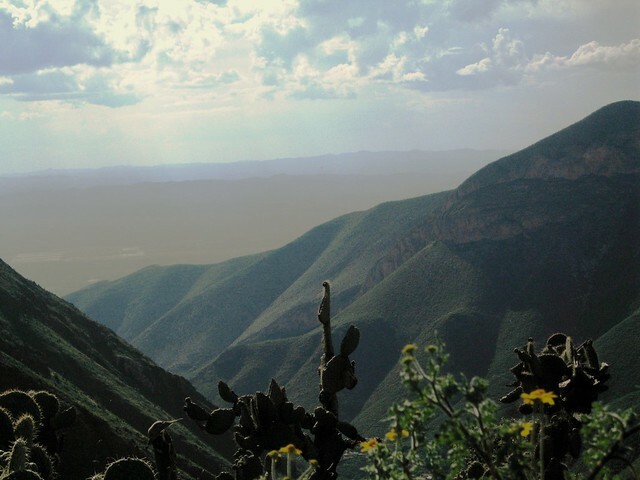 You’ll need to provide your own bicycle, basic equipment, and transportation to/from Mexico. Helpful information below. The focus will be on exploration and discovery. Many nights, we will have no planned sleeping place and we may camp out in town squares or near churches. We will look for places to stay each afternoon as we arrive at a new town. You do not need to speak Spanish, but it helps. 1,300 miles in 80 days. You’ll get to see three Mexican states. The terrain will be wide open scrub land, and we will cross a mountain range on the third day. Please check out the comprehensive safety page. We welcome non-cyclists who want to meet up with us in Mexico. Every segment ends with a three day (or longer) rest period. If you want to coordinate a trip to Mexico so you get to meet us, we would love that! I would like to have a support vehicle follow us during Leg #1, the Border Run. This involves three days of following us in a car with water and keeping an eye on us. If you would like to volunteer to be the driver, that would be amazing! I can provide a rental car for this job. Thank you to everyone who helped support this ride! Prayers for safety for your group and also for good weather. I’ll check your progress often. Looking forward to seeing the pictures you post. Blessings from Wisconsin!